MLS # 72119587 - SOLD!!! WEBSTER LAKE - South Pond! Beautiful Sunrises from its Expansive Eastern Exposure! Stunning 3,100’ Custom Contemporary Situated Upon an Untouched 2.43 Acres! This Home Features Endless Possibilities! 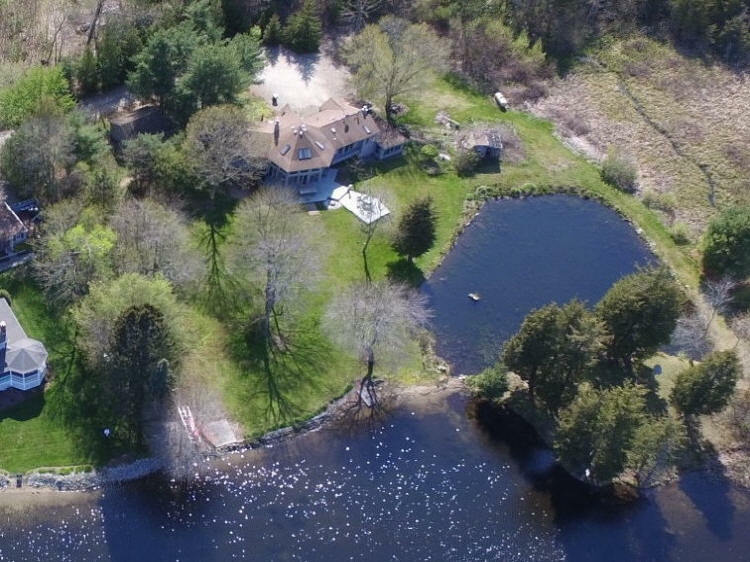 Located at the End of a Private Drive, this Property Delivers Substantial Privacy while Retaining Convenience with Town and Local Highways! A Variety of Wildlife Outside Every Window! Its Own Private Island! Open Floor Plan with Magnificent Views from Every Room! 3 Bedrooms, 3 Baths, Cathedral Ceilings with Skylights! Master Bedroom with en-suite Bath, Separate Shower, Jacuzzi Tub, Walk-in Closet & Attached Laundry! European Kitchen with Center Island & Bar Stools Built for Entertaining! Modern Fireplace Living Room with Glass Sliders Open to a Waterfront Balcony! Lower Level Bedrooms Share a Private Bath! Large Entry Mudroom/Sunroom! Central Air! Attached Garage with Work Space! Separate 2 Car Heated Garage with Workshop! Free Standing Greenhouse! The Unique Property You’ve Been Searching For! Panoramic Lake & Estuary Views!